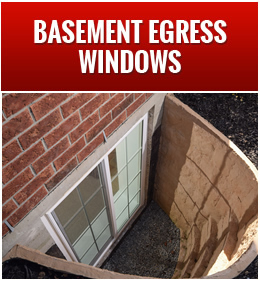 What they say is true: We ARE the authority on all things Basement Egress! 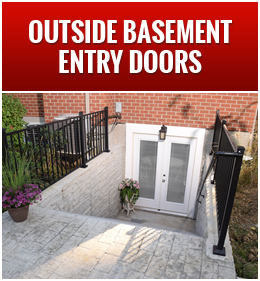 Foundation Builders specializes exclusively in the installation of Basement Egress Windows and Outside Basement Entryways that serve many purposes. My goal is to keep your home safe, beautiful, and functional from the inside out. It is my personal mission, as owner of Foundation Builders, to create solutions for past, present, and future customers, and we can't wait to work with you! We take great pride in listening to your needs so we can create a customized plan for your project. We rise to challenges and strive to be solution oriented for each specific project design. Every customer is made top priority so that Foundation Builders can maintain lifelong relationships. We keep your home clean and free of the mess that can come with cutting into foundation, and we remain on call 24/7! With Foundation Builders - our customers satisfaction with our work and their home, remain our number one objective. Our owner, Mike Hancock, makes your site consultation his top priority. We will meet you at the site of the project at a time of your convenience to better evaluate the area and to formulate a very detailed and thorough proposal describing the scope of work. We truly value customer service and will make sure you feel appreciated and respected throughout the process. You can call us 24/7! Now that's good service! WHY CHOOSE US FOR YOUR PROJECT? Mike Hancock, owner of Foundation Builders, has over 45 years of experience in home building and working directly with homeowners. We believe any home improvement project should be fun and exciting, and not stressful. We have the experience to plan your project appropriately and effectively. We value integrity and trust in our business practices and believe that shows through the work we have done over the last several decades. *Very detailed proposal describing scope of work and total cost. Mike was very good at keeping us informed about the start date due to the spring weather. Started and finished quickly and worked around our schedule. Their no mess system worked fantastically keeping dust and water outside during the cutting process and rains. Mike and his crew were very respectful of our property using mats to protect the lawn and gardens while under construction. The window is great, adds a lot of value and is performing as Mike described. Mike was also the most prompt contractor I have ever worked with. Got back to us within minutes of a quote request, was on time for the survey and was on site every day to oversee and evaluate the progress. We would highly recommend his services and when the basement is complete will update this with both interior and exterior photos.